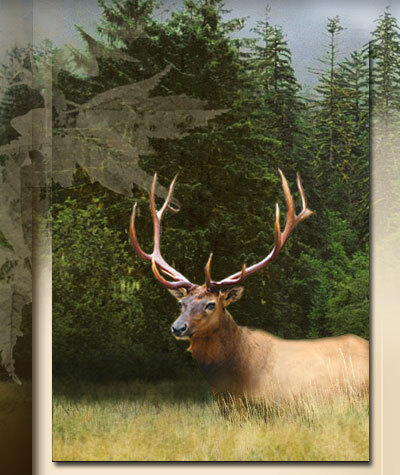 Welcome to Artistic Wildlife Creations Inc. I am a full service Taxidermy studio catering to discriminating sportsmen and women from around the globe. I thoroughly enjoy the outdoors whether it be fishing, hunting or just a good hike into some new country! Another passion has always been Art and creating beauty with different mediums; sketching, painting and carving. Taxidermy is another art form with which I strive to bring life back into the creatures I mount. I feel it is my responsibility as a Taxidermist to give my customers the most realistic and life-like piece. Each piece is created to replicate the original living animal as closely as possible. I use only the highest quality materials and professional Tanneries and I spend more time on each piece than the average Taxidermist and I believe it shows in my work! I strive to give the greatest amount of detail so you are proud to display it in your den or trophy room. I also believe in learning from the best, most respected wildlife artists in the business today and that is why I chose World Champion Glen Browning to study birds under and World Champion Rick Krane to learn the art of Fish Taxidermy! Both are respected international judges as well! 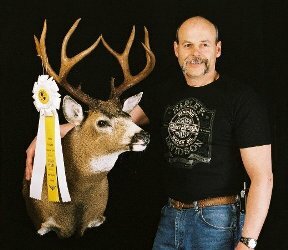 I have taken seminars with several world renowned Mammal Taxidermists covering the unique characteristics of Cats, Bears, Deer, Elk and African species! New and improved taxidermy techniques are being developed all the time. I stay current with all advancements in the taxidermy field by attending seminars and competitions held in the United States and Canada. My attention to detail and artistic accuracy has enabled me to become a successful competitor in the taxidermy competitions I have entered. My first competition was the Western Canadian Championships held in 2006 where I entered the Novice division with a Chukar Partridge and a Widgeon in game birds and took a second place ribbon with each. The Life size Bobcat I entered was the first life size I had ever done and it took a First place ribbon! I also entered a Bald Eagle that took a First place ribbon and ended up being the highest scoring bird in the competition! I was encouraged enough by my results and the praise I received from the judges that I entered the World Taxidermy Championships in Reno NV in 2007 and moved into the Professional division. I took a customer's Blacktail Deer mount I had recently completed and ended up with a Third Place ribbon! I was very surprised as I was up against competitors from 22 countries and 47 States that had been in the industry a lot longer than I had! I keep my clients involved in the process from start to finish including pose selection and placement, habitat design to the final mounting stages! I know what it's like to wait for something special so I strive to have your trophy returned to you in a timely manner, usually 10 - 12 months! I hope you like my work and I look forward to working with you!